confusing section, there is one topic of “Time And Calendar”. 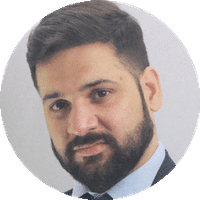 It takes time to solve the questions related to Time and calendar, but we are going to discuss some which will help to solve the calendar-related questions easily and also saves the time of candidates. 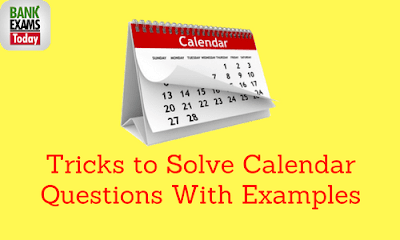 These tricks will help you the most to solve the questions related calendar. First, you have to see the last three digits of the given year, if it is less than 100, then you have to add 100 in it, for example, if there 2013, then the last three digits are 013, which is less than 100 so you have to add 100 in it. like; (013+100)= 113, after that you have to divide 113 by 4, and will get a result. Secondly, you have to use the code of the month as given in the calendar which is given above. If there is a leap year then you have to use the code for that leap year month. At your third step, you have to write the date. Now this will be your last step, you have written all the data and add them all, after this, you will find a result. If you have to find the day, you have to divide it by 7, and after this, you will also get the remainder. Then you have to match the code of the remainder a with the given code table which is given above and you will have your answer. In this, you have to see the last two digits of the year. For example, if there is year given 1965, then last two digits are 65, then you have to divide 65 by 4 and you will get the result for further. This is something different because here you do not need to add 100 to the last digits. Then the further is same as above, you have to use the month code as given in the calendar which is shown above. Then you have to write the date. Now you have to collect all the data and need to add them all. You will get a result. If you want to find the date you can divide this result by7, you will get a remainder. And as above now you have to match the code of the remainder and the code table and this way you will find the answer. Here we will solve the question where the year is less than 1999. Q.1. What was the day on 27th –November-1989? Now we have to use the code as given above in calendar for month November is 3. Now we have to find the day so we have to divide it by 7i.e. (140.25/7=20.0357) we will take remainder 20.0357 as remainder code 2. Now we have to match the remainder code with the code table in which we will see that code 2 reveals for Tuesday, so the answer is Tuesday. Q.2. What was the day on 26-January-2012? Now we have to match the remainder code 4 with code table. 4 is the code for Thursday so the answer will be Thursday. Along with these tricks we can also use the formula of Zeller which is called Zeller’s Formula. i.e. Here d is the day of the week where we will see the day code in above given table. K is the day of the month. C is the century, will take as first two digits of the year. The [ ] brackets reveals to the high integer function. Which is the largest integer less than and equal to the number inside. M= month, but we will start the year with the month March=1, so January and February will the 11th and 12th month of the last year. Q. What was the day on 7- December-1941? So here we got the 0, which reveals I table code as Sunday, so the answer is Sunday. This formula works only for the Gregorian calendar. 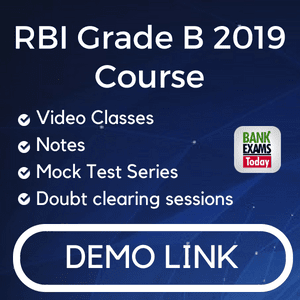 So these are some tricks to solve the calendar questions in competitive exams, these tricks will surely help you to solve the questions and will save time, and also will get the good scoring in Reasoning. Q .1.What was the day on first republic day on 26th –janruary-1950? Q.2. What was the day of week on 17th july,1776? Q.3. What was the day on 1st January 2010, if there was Sunday if there was Sunday on 1st January 2006? Q.4. What was the day on 10th November ,1581? Q.5. What will be the day after 62 days, if Today is Friday? Q.6. What was the day on 17th June 1998? Q.7.What was the day on 3rd November 1987, if it was Monday on 4th April,1988? Q.8. find the calendar which is identical to the year 1998. Q.9. What was the day of the week on 1st January ,1987 if it was Wednesday on 1st January 1986? Q.10. What was the day of the week on 15th August 2010? There are 0 odd days in 1600 years. And in 300years there in 1 odd day. In 49 years there are 12 leap years and there are 37 ordinary years so (24+37) odd days i.e. 5 odd days. So in year 1949 (0+1+5) or 6 odd days. There are 5 odd days in 26 days of janruary. And sum of the days are =(6+5)=11 and 4 odd days. So the answer is Thursday, means it was Thursday on first republic day on 26th –janruary-1950. The date reveals 17th july,1776 means 1775 years+ 6 months +17 days. (400*4 years) 1600 years contain 0 odd days. And 5 odd days in 100 years. So 1775 year contain 0+5+2=7 odd days i.e. 0 odd days. So total number of odd days corresponding to the given date=0+3=3 odd days . So the day on 17th July 1776 was Wednesday. If there was Sunday on 1st jan-2006 , it means it was Saturday on 31st December-2005. And the number of odd days from the year 2006 to 2009 = (1+1+2+1)=5 days. It means on 31st December 2009, it was Thursday. Thus on 1st January ,2010 it was Friday. 10th Novewmber,1581 means (1580 years+10 months+10 days). 1200 years (400*3 years) having 0 odd days . 300 years having 1 odd day. 80 years = 20 leap years +60 ordinary years= (20*2) +(60*1) odd days i.e. 100 odd days or 2 odd days. So 1580 years having 0+1+2=3 odd days. Number of days from january to november 10,1581 are=31+28+31+30+31+30+31+31+30+31+10=314 days = 6 odd days. Hence the day on 10th November 1581 was Tuesday. After every 7 days, each day is repeated. So in this way after 63 days it would be Friday. So after 62 days, it would be Thursday. There were 24 leap years in 97 years +73 ordinary days. It means 168 days = 24 weeks = 0 odd day. So the total number of odd days =(0+1+2+0)=3. So the answer is Wednesday because according to code table 3 is given for Wednesday. So the answer is option C.
There are total number of odd days between 3rd November,1987 and 4th april 1988= 6 odd days. Let the odd number associated with the day on 3rd November 1987 be x. So x+6=1=x=2 odd days i.e. it was Tuesday. We have to count the number of days from 1998 onwards to get 0 odd days or the sum of the days divisible by 7. Year: 1998 1999 2000 2001 2002 2003= 7 odd days. The year 2004 will have the same calendar as that of 1998. So the answer is option D.
If there it was Wednesday on 1st January,1986 and year 1986 has one odd day. In this way it was Thursday on 1st January 1987. So the answer is option is C.
9 years = ( 2 leap years + 7 ordinary years)=(2*2+7*1)=11 odd days 4 odd days. (31 + 28 + 31 + 30 + 31 + 30 + 31+ 15) =227 days. 227 days= (32 weeks + 3 days) = 3 odd days. Total number of odd days = (0+0+4+3)= , 0 odd days. So the remainder code is 0, which reveals according to the code table that it was Sunday on 15th August -2010.